John Moore was born in Woodbridge, Suffolk in 1820, John Moore was an apprentice to his father’s business and initially began painting only as a hobby. He was strongly influenced by other members of the Suffolk School such as; Thomas Churchyard and E. R. Smythe who also painted in and around Woodbridge. 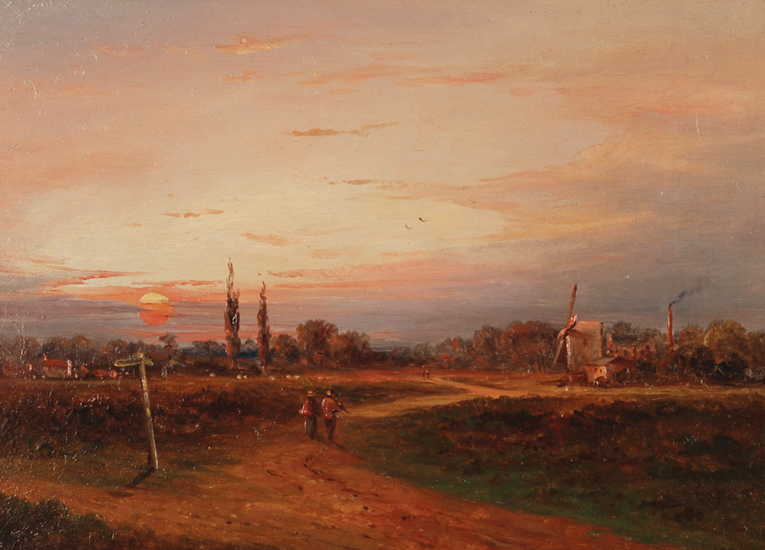 Moore preferred to paint the East coast, the Suffolk countryside and Scotland. He became an active member of the Ipswich Art Club on its formation in 1875, where he regularly exhibited until a year before his death in 1902.